The Rose Milk Bath & Cinnamon Massage Bar Spa Gift Kit by Shae consists of a range of handcrafted beauty products. This spa kit also contains a herbal tea pouch made of exotic herbs and a plush towel. Each box is 8*8*2 inch so its very handy but accommodates two jars of handmade beauty product, a plush little towel & a signature herbal tea giving you a perfect spa gift kit for varied occasions. The natural Himalayan pink salt in this luxurious milk bath soak relaxes and rejuvenates the muscles and the coconut milk and rose essential oil deeply hydrates and tone the skin. Intense moisturizing and hydrating lotion bars nourish the skin and lock in moisture, keeping your skin soft and supple for longer. Cinnamon Essential oil promotes blood circulation and Shea butter nurtures the skin. Explore the entire range of Gift Sets available on Nykaa. 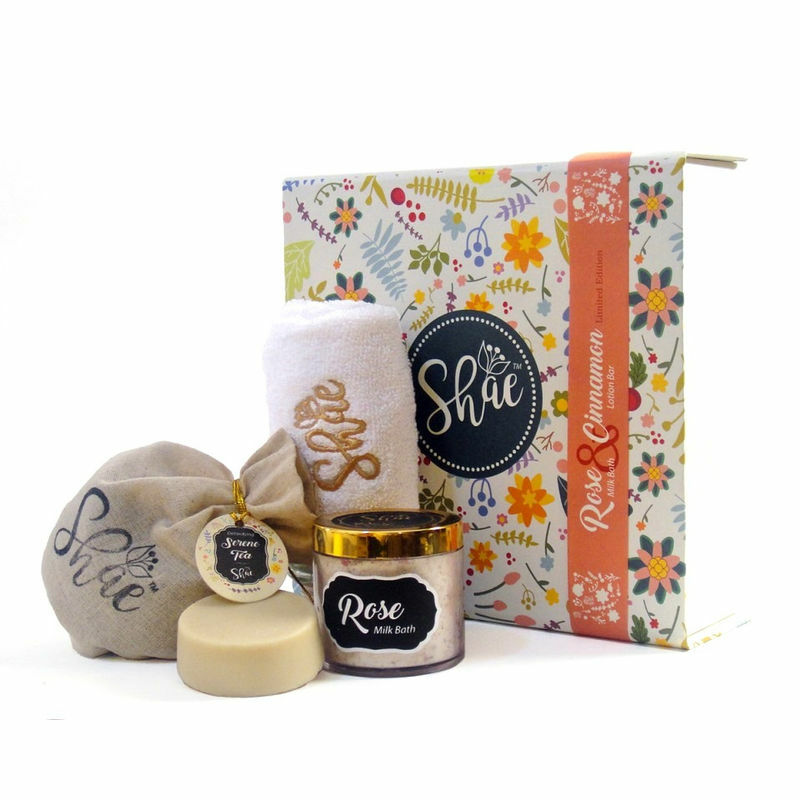 Shop more Shae products here.You can browse through the complete world of Shae Gift Sets .